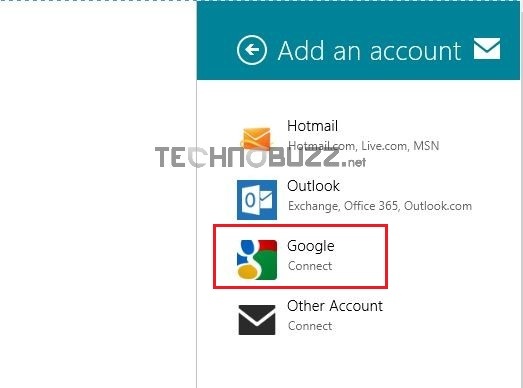 Want to setup your Gmail or Outlook mail account in Windows 8? Below is the Guide which help you to setup your Gmail and Outlook mail account with Windows 8 Mail. In Windows 8, Microsoft replaced Outlook express with the Mail app. The best thing we like about the Windows 8 Mail app is its Modern UI look and interface is minimalistic and focuses on reading your email messages. In this app you can setup your Gmail, Outlook and any other email account easily. 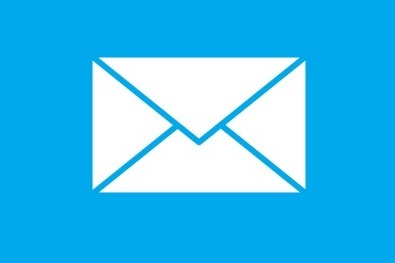 To use this windows 8 mail feature all you need Hotmail, Live or Outlook account. So today i will show you how you can setup your email account in Windows 8 using your regular email address such as Gmail, Hotmail or any other email address you own. If you have the Microsoft account, then go to the Windows 8 start Screen and click on the Windows Mail app tile from the screen. 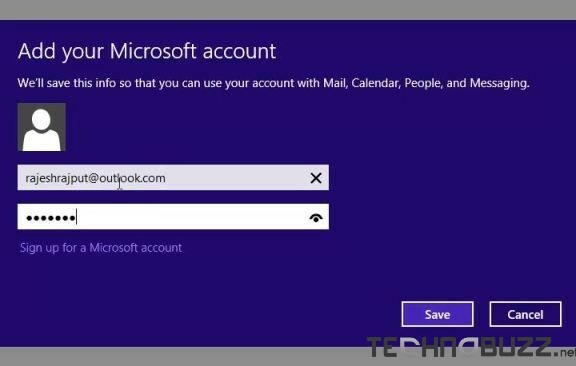 Now it will ask you to Login with your Microsoft Outlook account, sign-in here and let the application sync your Outlook mail or Windows Live Mail. Now your Outlook is setup with the Windows 8 Mail app. If you want to add Gmail account on the app, Hit the Windows + I key from the app screen. You should see a list of options appear in the right sidebar. From here click on Account > Add an account in order to set up a new email account. A list of popular email providers will be displayed. Select Google from the list to add the Gmail account on your Windows 8 mail application. Now a login screen will appear on your scree, here type your Gmail email address and password, and then select Connect. Make sure that you enter your full email address (for example, [email protected]) as your user name. Once the process is complete you can see all your Gmail emails on the Windows 8 mail app. Once you are connected with the app, you can see a preview of your recent emails on the left sidebar. To open the emails just click on it, from, here you can reply the email, compose new mail ans forward them to your friends. With this way you can add your Other email account on Windows 8 Mail and now you can check all you mails without opening the border windows on your PC. This one is one my favorite app in windows 8, like this there are so many useful app are available in Windows 8 Store, you can find some of the best Windows 8 app here. this handy post. In the post, you spoke of how to seriously handle this thing with all convenience. from your website and come up to offer other folks what I have learned from you.